Creative Commons by Kjetil Ree. Patient Protection and Affordable Care Act? …..meh. Ann Curry leaving the Today Show? Tom Cruise and Katie Holmes divorcing? …..please. There was real news this week… Pardot, a leading provider of marketing automation for small and mid-sized businesses, announced a groundbreaking relationship with Dell. In this absolutely brilliant alliance, Dell Cloud Business Applications will be able to provide thousands of businesses Pardot’s easy to use Marketing Automation platform giving, SMBs the ability to leverage powerful demand generation, analysis, and integration into CRM. This tailored Marketing Automation solution comes with services that will enable the quick launch of email campaigns, landing pages, and integration of Google AdWords and CRM systems. For those of you who remember when Internet was just “starting,” you had to buy a computer, buy a modem and RJ11 line, buy a subscription to a provider like Compuserve, or Prodigy; download their software at an awful 1200 bits per second, and stare at a gross monochrome, proprietary interface. Then came America Online, and you got a disk in the mail or at a store, and installed it yourself on your computer. But by the mid to late 1990s, proprietary platforms like those and even unadulterated, pure Internet access software from fledgling Internet Service Providers came bundled with the most popular computer brands. That’s when the floodgates of the Internet really opened for the masses. We think that this announcement is an indicator that the floodgates are opening for businesses; other computer brands may or may not follow suit, but even so, just having Dell partner with Pardot is enough to tell us that Marketing Automation has reached a critical stage, even more so than the IPO plans of larger platform vendors such as Marketo or Eloqua. All these platforms have basic functionality that can benefit even the smallest of businesses, but by being an “ingredient brand” with the Dell name, Pardot is doing a fantastic thing for Marketers everywhere. Dell and Pardot will have to really coordinate intensely to bring these services alive for SMBs, and many times the bundled apps and capabilities that come with the purchase of a leading brand computer never are taken advantage of. 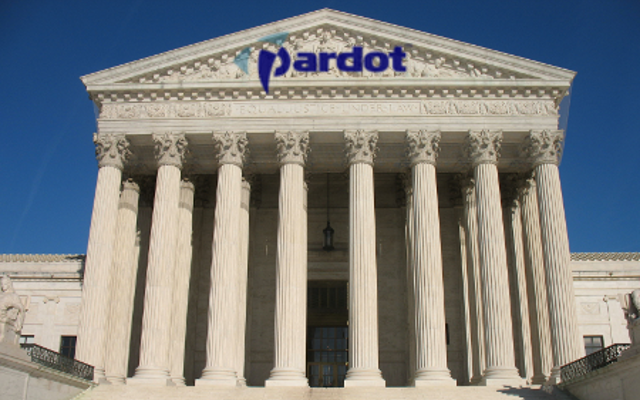 Nevertheless, this development in Marketing Automation is very significant and we’re glad to see a solid platform like Pardot’s involved.